Our Olive Leaf Extract, in liquid and in capsules, is 100% natural and simply amazing. 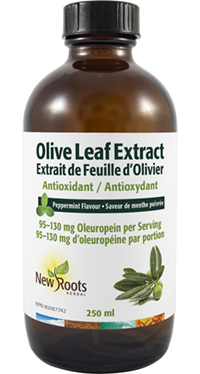 Obtained from the leaves of the olive tree (Olea europaea), they contain oleuropein, which is the main active principal of the olive tree. The use of the extract of the tree dates to the early 1800s, when it was used as an effective treatment for malarial infections. According to the 1854 Pharmaceutical Journal of Provincial Transactions, the doctors stated that the properties of the olive tree deserved much more extensive investigation for its medicinal qualities. In the early 1900s, a bitter compound called “oleuropein” was identified in the leaves and other parts of the olive tree; this compound was determined to be part of the olive tree’s powerful disease-resistant structure. Since then, several animal and in vitro studies revealed its large anti-infectious properties: Bactericide with its elenolic acid, and viricide with its calcium eleonate. In 1962, an Italian researcher discovered that oleuropein can lower blood pressure in animals; other European research determined this compound to have strong antioxidant capabilities as well. Biochemists have determined that the extract has multiple natural iridoids, flavonoids, and esters, and that the synergy of these working together is the reason for the wide-spectrum effect. Some people experience what is known as Herxheimer’s reaction; this is a detoxification reaction, and not a counteraction to the product. If any of these symptoms should occur—greater fatigue, diarrhea, headaches, muscle/joint aches, or flu-like symptoms—temporarily discontinue taking Olive Leaf Extract or cut back on the amount taken until the body can eliminate the toxic waste. Most individuals experience no such effect. Olive Leaf Extract has been used clinically in its present form for years. Living up to its promising background, it has demonstrated considerable therapeutic action against many common and chronic conditions. Adults: Take 16 ml (approx. 1 tbsp.) once daily with food or as directed by your health-care practitioner. Also contains: Peppermint essential oil and vegetable glycerin. Used in aromatherapy to help relieve colds/cough.